Tiger is certified under QS 9000. 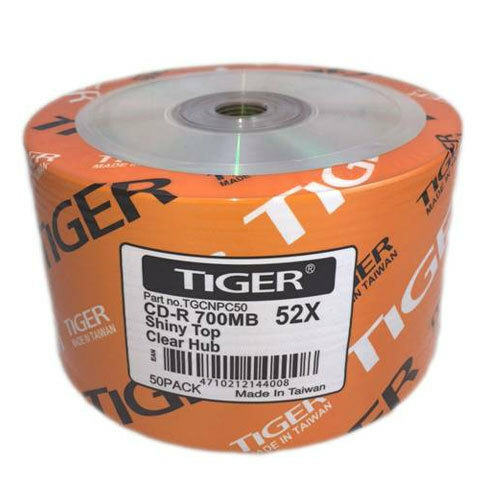 Each Tiger CD-R has to pass multiple quality control tests before it is released, making it the most reliable digital data storage media. Now you can create an unique CD of your favorite data. Tiger CD-R for Audio offers you 74 and 80 of digital audio recording time, and provides you excellent quality of audio sound. Tiger provides diverse products to meet customer's special needs. 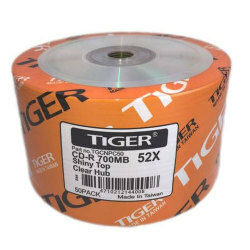 Though CD-R changes rapidly in writing speed, Tiger is capable of offering the highest quality and compatibility discs. Top and bottom Surface: Silver on Silver.